Deal should lead to increased racing dates in New England. Sterling Suffolk Racecourse, the company that operates Thoroughbred racing at Suffolk Downs, has reached a long-term lease agreement with the owners of Great Barrington Fairgrounds to begin racing there as soon as 2019. Great Barrington owner Fairgrounds Realty and Fair Grounds Community Redevelopment Project Inc. reached the agreement with the track operator. Under the agreement, Sterling Suffolk Downs would refurbish the Fairgrounds property and operate a commercial race meeting at Great Barrington while continuing to operate simulcast wagering at its current location in East Boston. 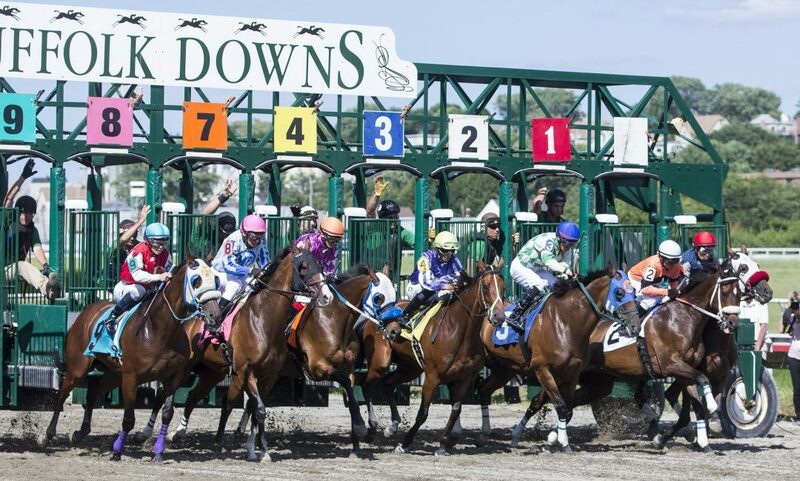 Suffolk Downs, the New England Horsemen’s Benevolent and Protective Association (NEHBPA), and the Massachusetts Thoroughbred Breeders (MTBA) are seeking modifications in state racing and simulcasting laws, which are set to expire at the end of July, to accommodate the new arrangement. Bart Elsbach, chairperson of the Fair Grounds Community Redevelopment Project, said the agreement should benefit many groups. The Great Barrington Fairgrounds has a rich history. It was the host of the longest continually operating agricultural fair in New England. Horse racing started on the property in 1859 and it was regarded as the centerpiece of the Massachusetts fair circuit. The track last offered Thoroughbred racing 20 years ago in 1998. The grandstand, barns and track facilities still stand, though they will require restoration and repair. In addition to improvements to the track surface, grandstand and other facilities, SSR officials indicated that they would be looking at expanding the racing surface at Great Barrington. Suffolk Downs is scheduled to host three live racing and food truck festival weekends this summer on Saturday and Sunday, June 9-10, July 7-8 and Aug. 4-5. Track officials have said that they hope to continue racing at the site in 2019. In December 2012, the 57-acre fairgrounds property was purchased by Sheffield couple Bart and Janet Elsbach with the vision to preserve and restore the environmental health of the site. The Elsbachs created the not-for-profit Fair Grounds Community Redevelopment Project which has provided agricultural, educational, recreational, and other beneficial opportunities to the local community and visitors through the preservation and sustainable development of this historic fairgrounds site. The revival of racing at Great Barrington has the support of the NEHBPA and the MTBA. As reported by BloodHorse, the two organizations entered a joint agreement with Sterling Suffolk Racecourse in November of last year to seek alternative venues for continuing Thoroughbred racing in the state and to pursue changes in the state’s racing and simulcast laws that would facilitate the continuation of live racing. SSR sold the Suffolk Downs property to a development company in May of 2017 and has continued to operate under a lease agreement since then.